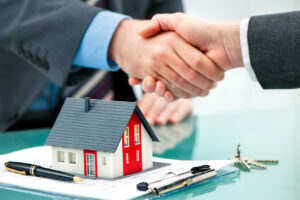 Before the budget change investors were entitled to claim plant and equipment and building allowance, so long as the property was built post-1987 and the property had settled within 10 years of getting the depreciation report, even if they had lived in the property prior, post or during the purchasing of their depreciation report. The other day I received an email from one of my clients asking me for some personalised advice regarding his investment property and depreciation report. He told me he and his wife had purchased their first home in 2011. It was not a brand new property, and between 2014-2016 they rented out the property with a full depreciation schedule, claiming all they were entitled to. At the start of 2016 they moved back in to their home, and are now looking to renting it out again. He was wondering if they are still eligible to claim the original tax depreciation schedule they purchased in 2014, or do they have to adhere to the new government tax depreciation rules since the budget change concerning the plant and equipment on established properties. I thought this was a great question, and wanted to ensure all of my clients and readers were aware of the significant changes to the way second-hand, previously used assets are now being treated moving forward from the budget change. As of the Federal Budget Announcement on the 9th May 2017, the Government has disallowed depreciation deductions on items such as Ovens, Dishwasher etc. where they have been previously used. Whilst these new laws are grandfathered and as such are only applicable to properties purchased after the May 9th announcement, one caveat exists: The property must be income-generating at some point between July 1st, 2016 and June 30th, 2017. This meant, that even though my client had acquired the property before the budget, they were unfortunately ‘caught in the net’ because they were living in their property for the entirety of the 2016/2017 financial year. Due to this, those aforementioned items would now be considered ‘previously used’ and they wouldn’t be entitled to claim any further depreciation on them. It’s worth noting that these new rules only apply to residential properties. Commercial, industrial and other non-residential property are not included. 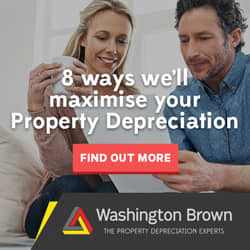 It’s also important to note that the way residential property investors claim depreciation on the building has not been altered. You can continue to claim the depreciation on the structure (all the bricks, concrete etc.) provided the building was built after 1987.